We are the Missfits, FIRST Robotics Competition Team 6418, an all-female community robotics team based in San Francisco. 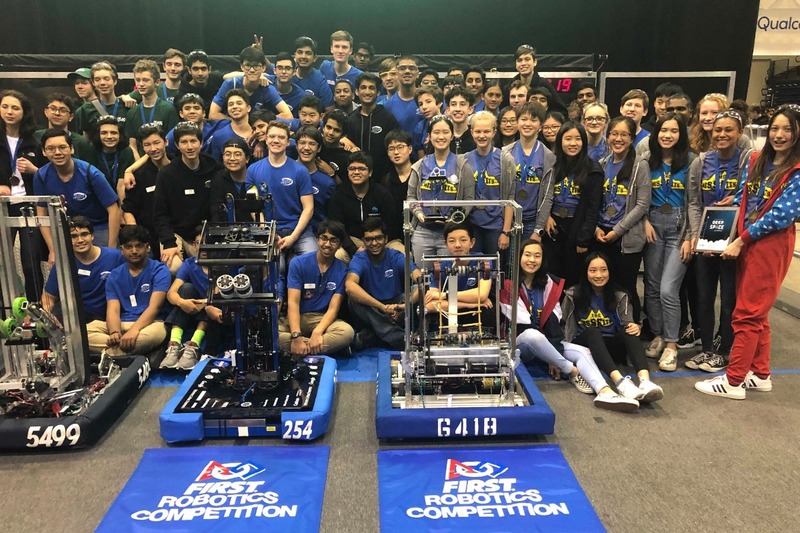 In January of 2019, we started a 6-week build period during which we designed and constructed a fully functioning robot to compete in the two regional competitions we attended. Using a combination of CAD, manual and automated machine tools, and custom electronics and software systems, our team built an effective and robust machine.This is our team's third year competing, and we are proud of our achievements coming this far. This past weekend, the Missfits attended the Silicon Valley Regional in San Jose and won the event. Our robot was able to score major game pieces and play strategic defense. During the elimination rounds, we were picked to join the second seed alliance, where we were undefeated for the rest of the competition (Watch some of our matches here ). 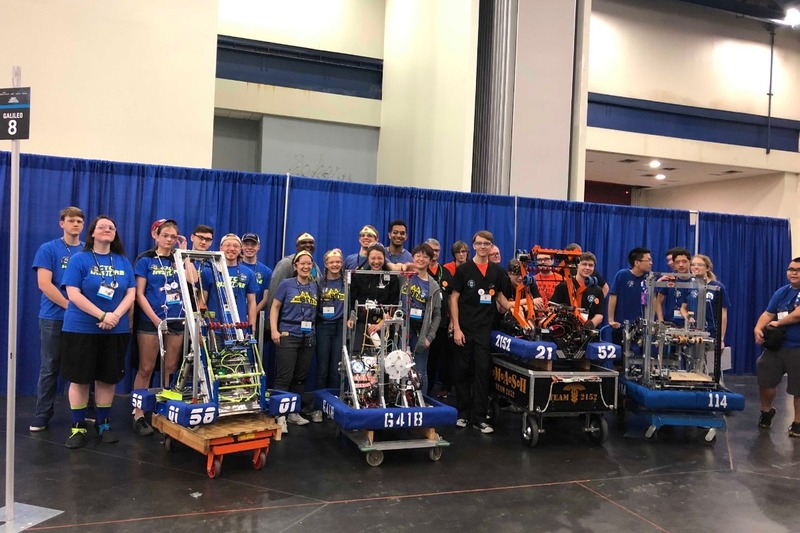 Our robot fought hard against top world class teams, and we qualified for World Championships in Houston, Texas on April 17-20! Our young team of 19 girls is currently raising funds to attend the championship. This will be our chance to connect with teams and people from around the world, meet with top executives, attend workshops, bond within our team, and learn about colleges offering special scholarships for students involved in FIRST (For Inspiration and Recognition of Science and Technology). All donations will go toward registration, travel costs, and robot and equipment shipping costs. We need the money urgently, as registration is due soon. We want as many members as possible to engage in this memorable experience. Check out our website, our recent KTVU interview, and the wrap-up video from our past season. Thank you so much for reading our story!